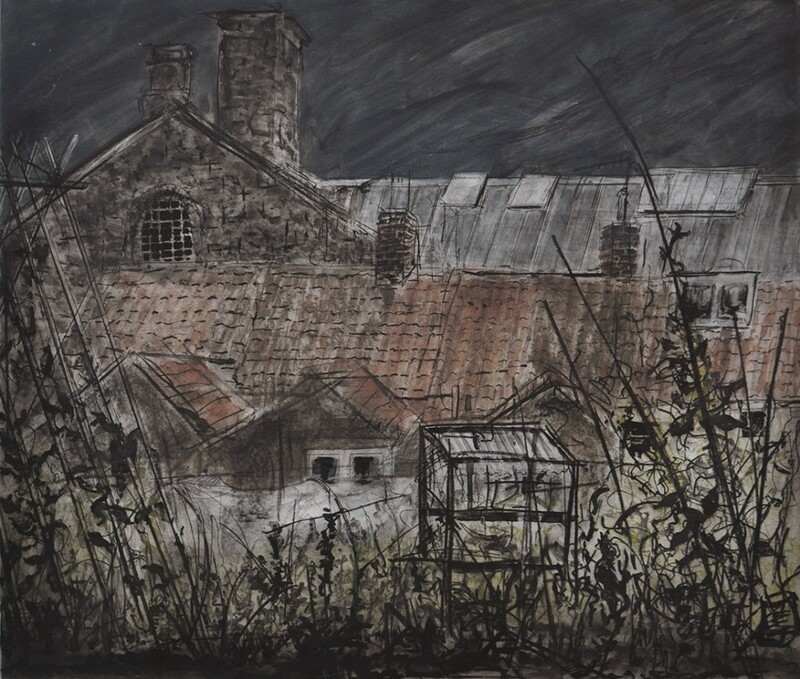 Ros Ford spent two months in Swansea as one of three artists in residence at Swansea Print Workshop for a year long Drawn to Print project. The Vetch is the old football ground in Swansea overlooked by Swansea prison. 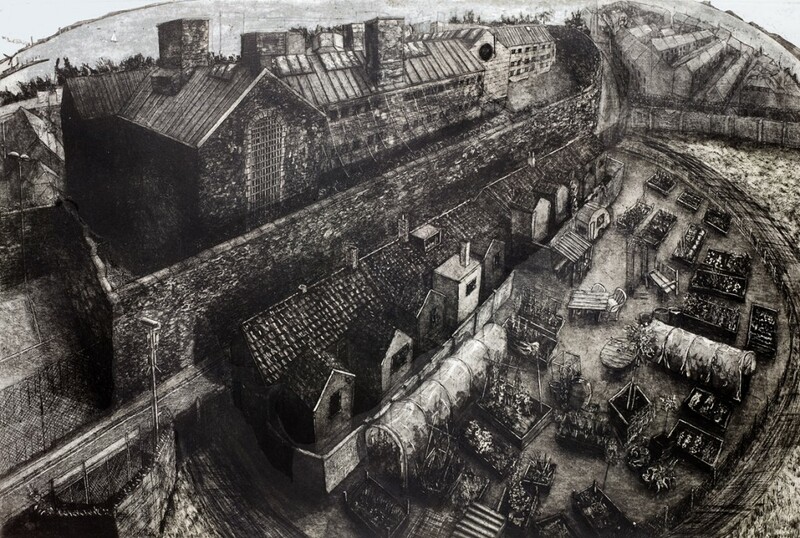 In 2012 a social artwork Vetch Veg project took place in the Vetch creating interesting juxtapositions and landscapes that feature in the etchings. Ros spent several weeks drawing and taking photographs of the area from different viewpoints. She then drew to scale ideas for The Vetch etching which took several months to complete. 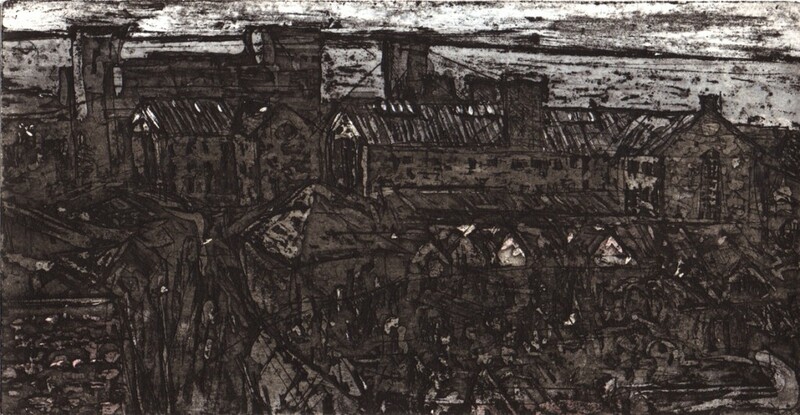 The large etching is two plates, one copper and one steel. 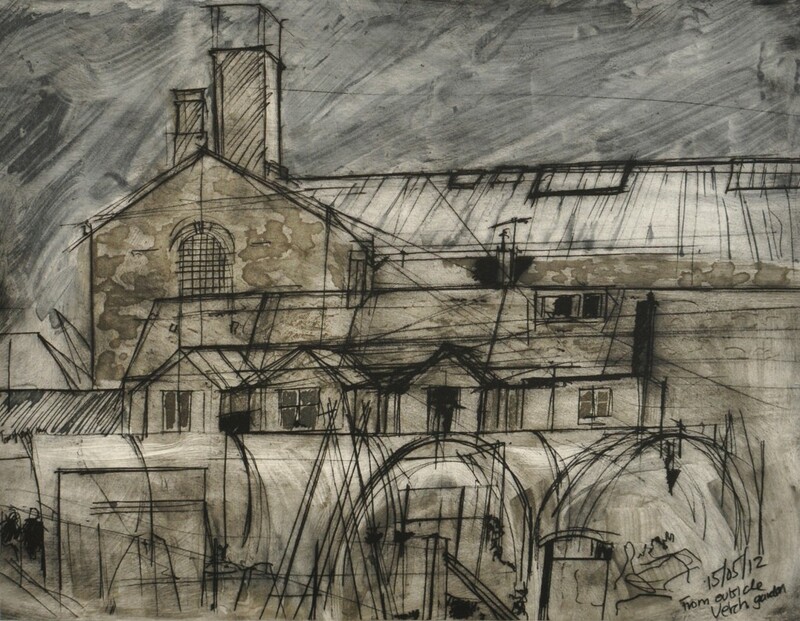 She also developed some of her studies and drawings into photopolymer intaglio prints. She also drew on location directly onto grounded etching plates.